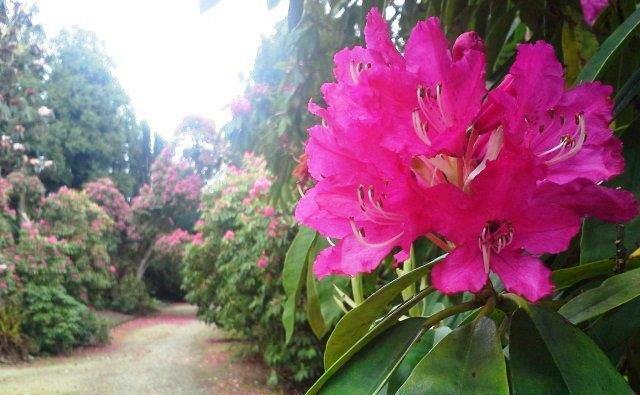 Rhododendron Broadwalk Kilmacurragh is one of a series of pictures born out of Rod Coyne’s “My Place on Canvas” project. It’s one of those paintings abstracted from the landscape which crosses the line between dream and reality. Rod Coyne’s canvas print is the perfect addition to any home or collectors wall. I painted the original Rhododendron Broadwalk Kilmacurragh, now sold and hanging in Canada, back in 2014 as part of the “My Place on Canvas” project. Members of the public were invited to submit their favorite Wicklow location and explain why it is special to them. I then chose the best ones and went out and painted them. The result was an exhibition of thirty five paintings at the Courthouse Art Center, Tinahely, Co. Wicklow. Stunning colours on show in Kilmacurragh. 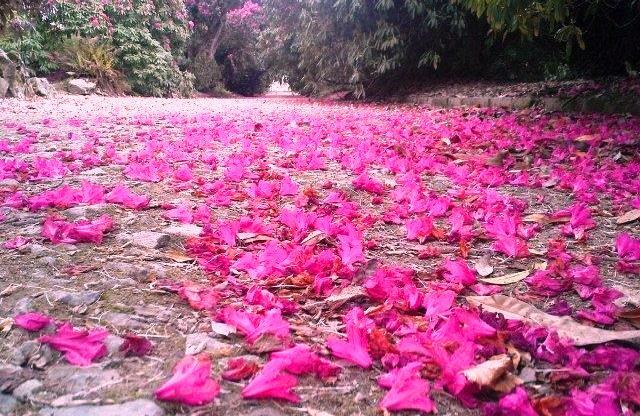 A carpet of “Rhodi” petals. 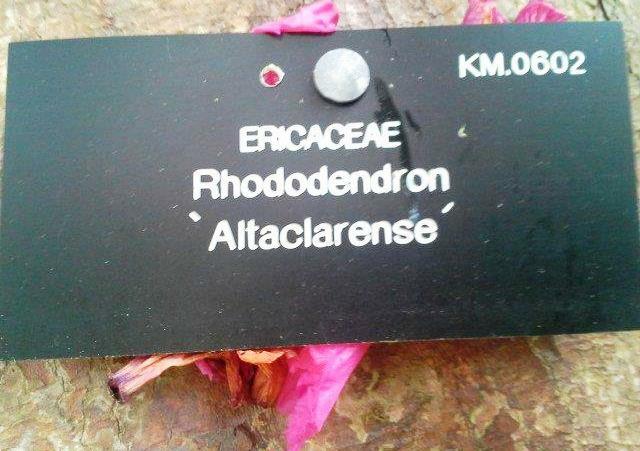 The Latin tag for Rhododendron. Rod Coyne paints sentiments and memories En plein air*. His upcoming exhibition at the Courthouse Tinahely is a singular mission to capture the favorite Wicklow scenes of others. Rod has motivated people to consider and articulate their relationship with their landscape. Then he has retold that story through paint. The result is a compelling mix of paintings and text called “My Place on Canvas”. Notable are contributions from author Paul Howard aka Ross O’Carroll Kelly, former Ireland rugby international Shane Byrne, lawyer to the stars Dr. Gerald Kean and Ireland’s most respected politician TD Stephen Donnelly. This multi-faceted undertaking saw Coyne marching from the mountains to the sea, or flanked by deer in a forest at dusk, and lunching with The Hon. Garech Browne in Luggala estate.